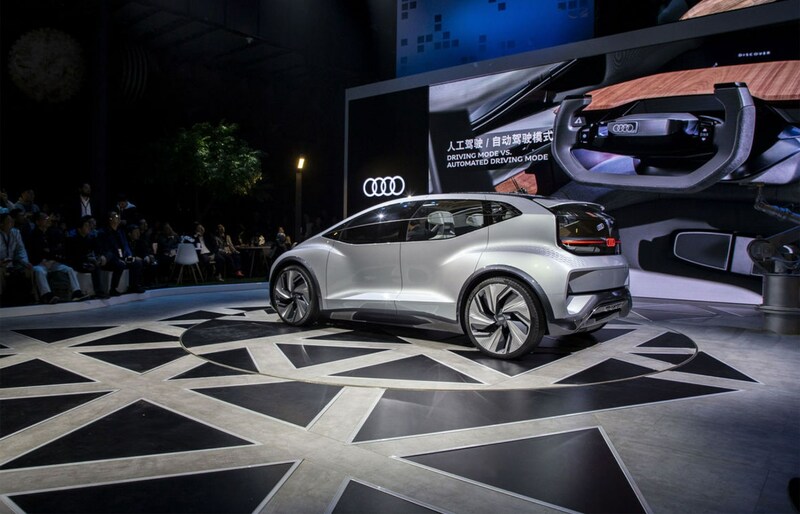 Bit of a mouthful, this one: this is the new, heavily autonomous Audi AI:me, being shown at the 2019 Shanghai motor show this week. 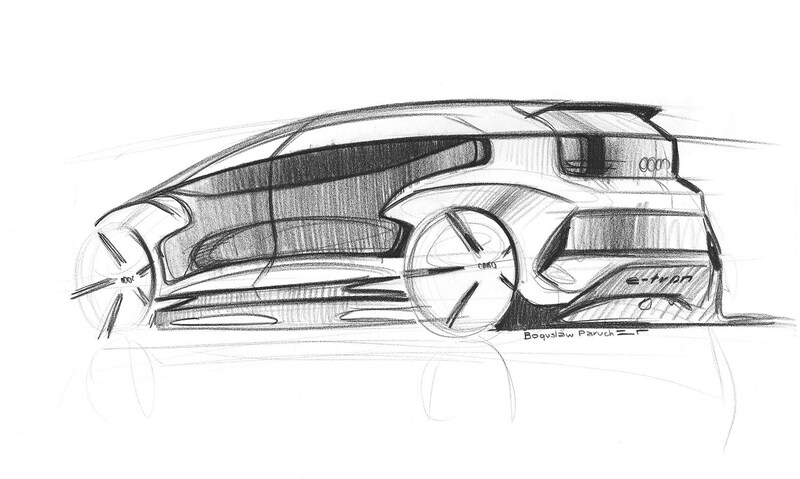 And if you ever wondered if Audi could launch a city car below the A1, this is it. 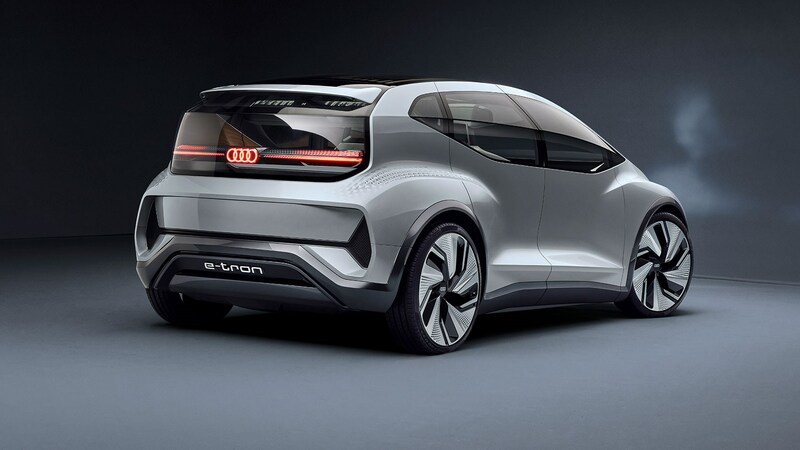 This squat urban runabout is the most stylish small Audi we’ve seen since the original A2. 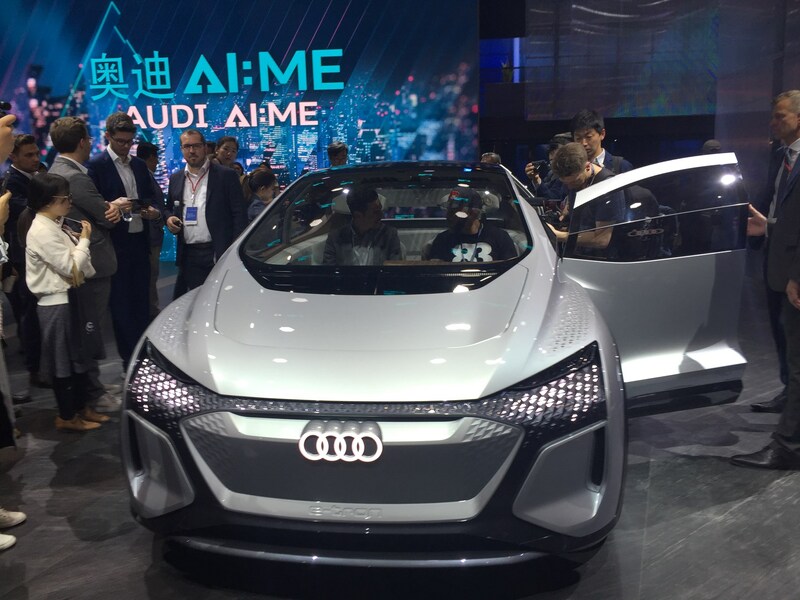 The AI:me (pronounced like Amy) is a four-seater that’s designed to conquer megacities such as the Chinese sprawl of its launchpad. 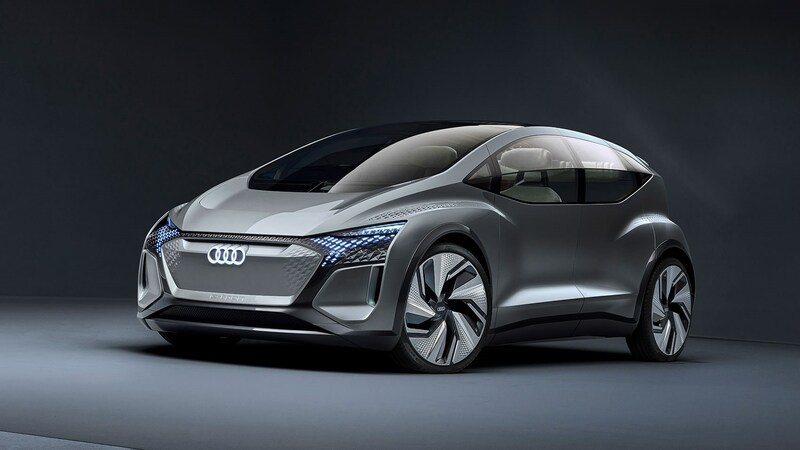 We like small Audis... Is this an A2 for 2025? 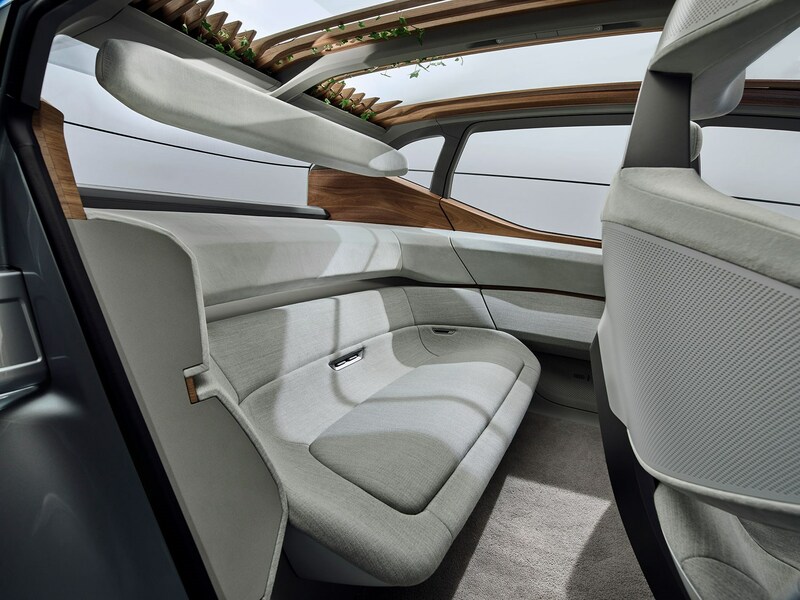 Not really, although Australian-born interior designer James Nissen acknowledged to CAR that it does have 'some shared values and functional similarities.' 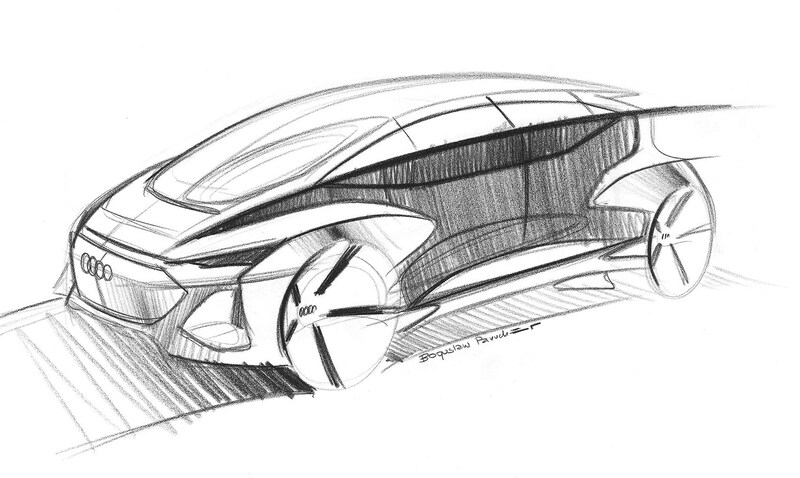 Reimagining the city car with an electric powertrain, a long 2.77m wheelbase for greater interior space for up to four people, plus Level 4 autonomous capability and high levels of artificial intelligence (thus the vehicle’s name), the AI:Me goes quite a bit further than the A2. The idea of the AI:Me is that it learns users’ preferences over time – reacting to drivers' eye movement, voice, gesture and touch – to make each journey more tailored and enjoyable. 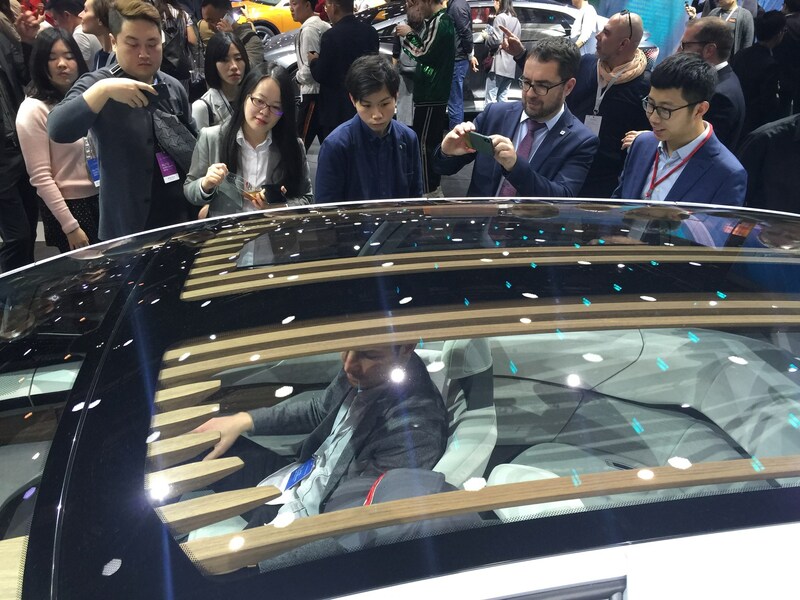 For instance, the lighting in the car only switches on when the driver approaches the car and the order in which the lights come on guides the user’s gaze towards the various functions. It's clever stuff. 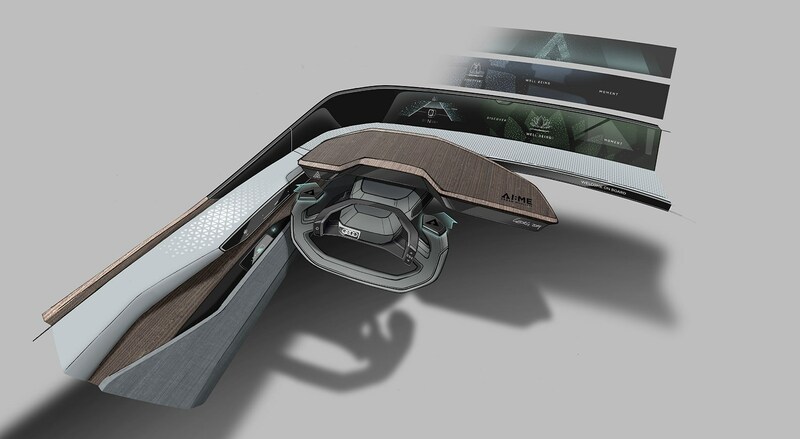 You say it’s autonomous, but I can still see a steering wheel? 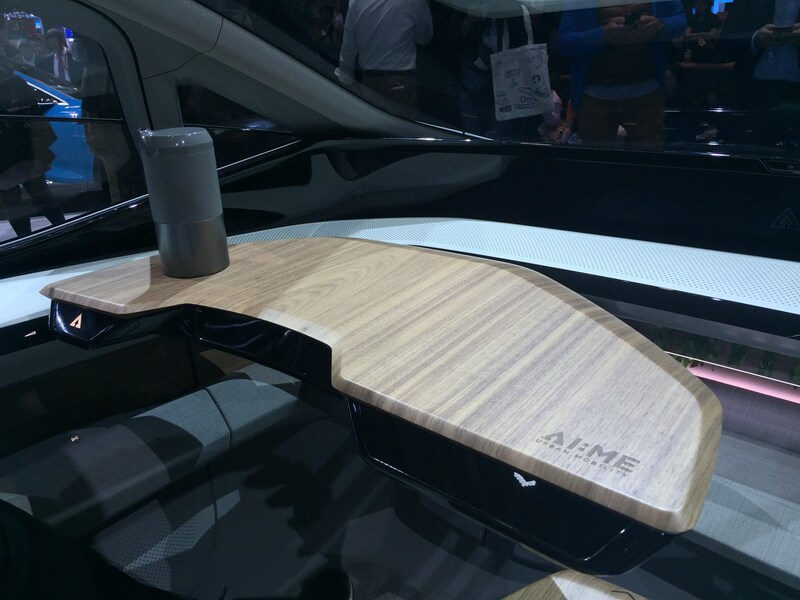 Well spotted, the AI:Me is ‘only’ Level 4 autonomous, which means the steering wheel will retract gracefully into the natural-finish walnut dashboard within ‘geo-fenced’ zones like motorways and certain city spaces. But in other situations where the conditions are too complicated for the machine, or where the environment doesn’t support the required signals for all the autonomous kit to work properly, a human needs to grab the wheel. That interior seems very luxury lounge? What’s it like to sit in? In short, it looks and feels great. Spacious and light-filled, lovely touches abound, from the high-quality wooden struts and hanging plants in the large panoramic roof area influenced by garden pergolas, and Corian – the mineral composite material more normally used for upmarket kitchen worktops – covering the touch pads in the door rails. 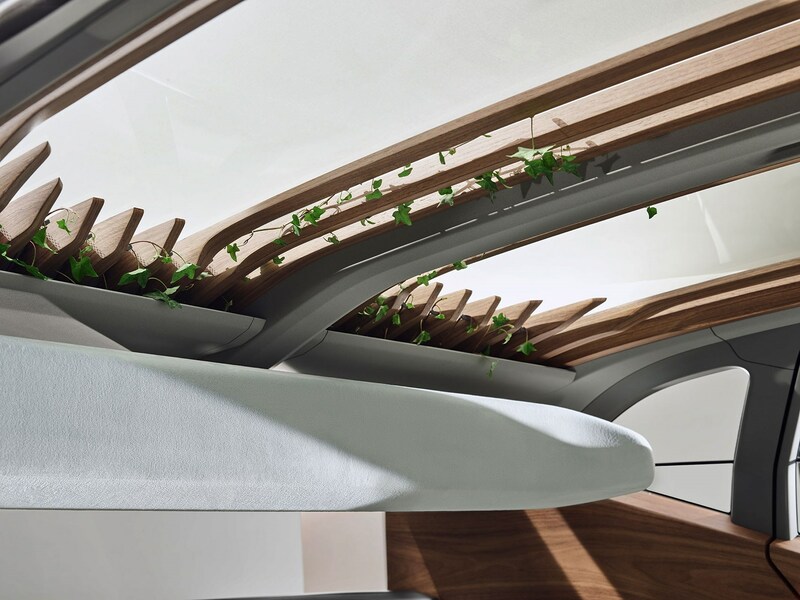 More back-lit house plants make the car’s open-plan footwell feel more homely too. Audi’s design team envisaged the space as an oasis within the city, and have features including electro-chromatically tint-able windows and a sound system with noise cancelling – like many upmarket headphones already offer – to potentially shut out the traffic noise and city dwellers’ inward gaze when required. 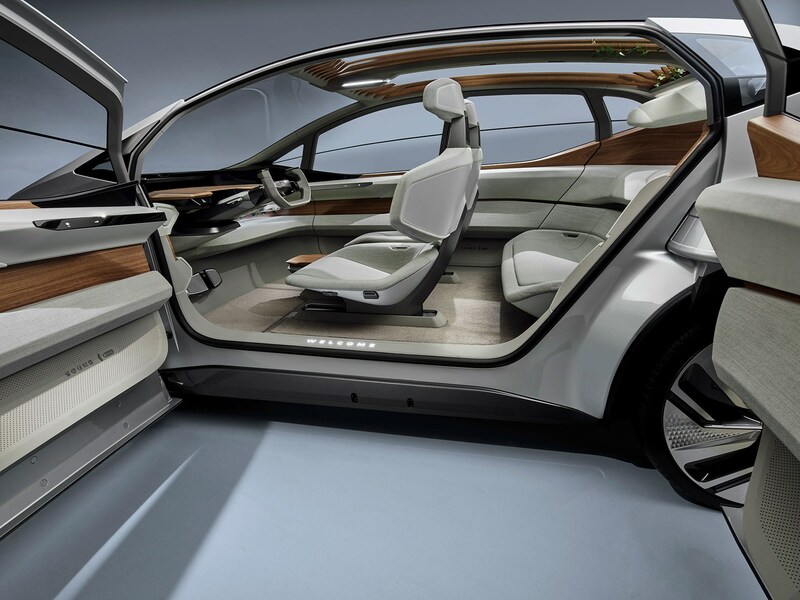 'Overall, the approach was to be less like a car, and more like a home,' Nissen added, while explaining that the vehicle was more likely to be used as a shared vehicle than a private one. A 125kW electric motor is fitted at the rear axle, making the equivalent of 168bhp. 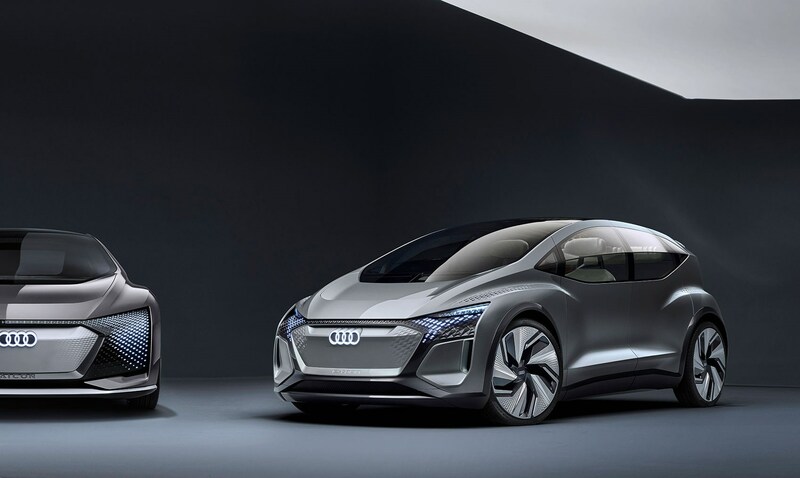 It’s fed by a 65kWh lithium-ion battery, sufficient, says Audi, for hours of driving at typical urban speeds of between 12-44mph. 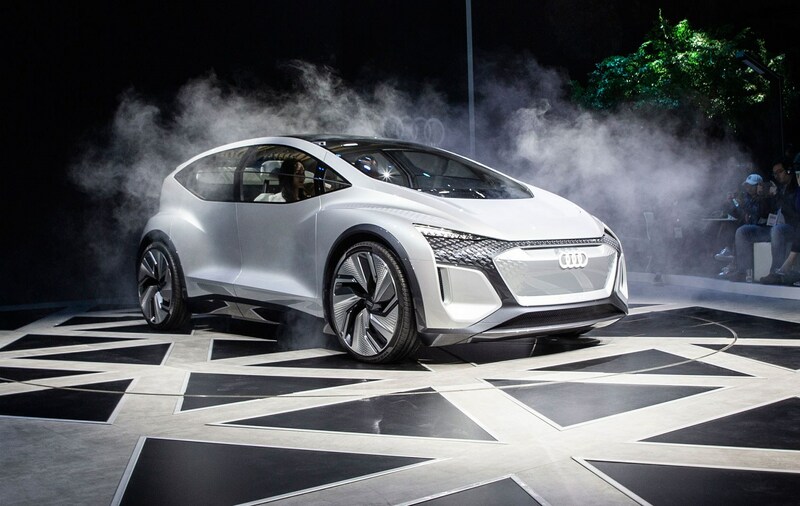 It’s level 4 autonomous, meaning it can drive itself in carefully proscribed areas, and it’s dripping with machine learning and artificial intelligence to help it do so (hence the AI of its nameplate). 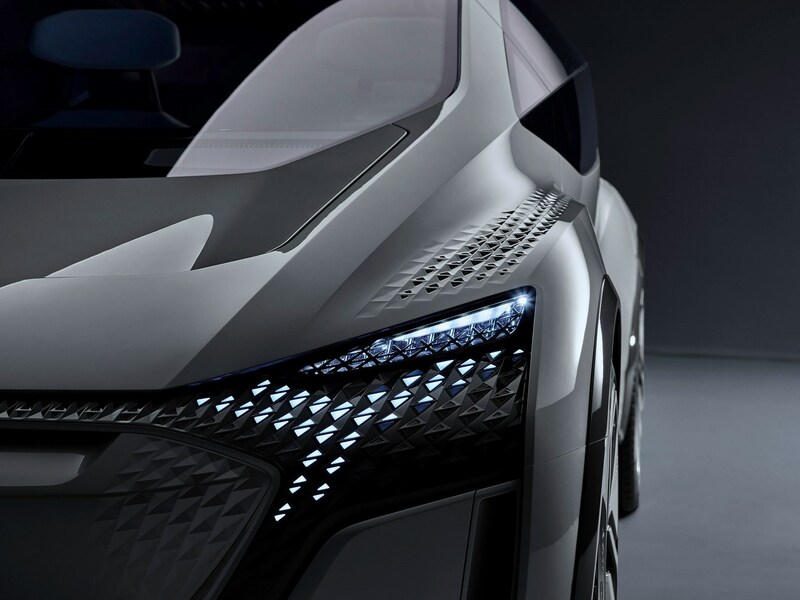 It's the third member of Audi's ongoing AI series, according to Audi design boss Marc Lichte. 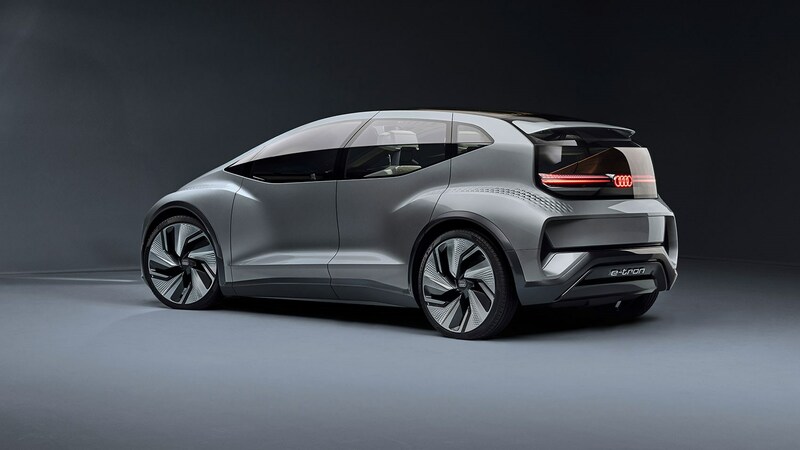 All very nice theoretically, but what’s the future of the concept? 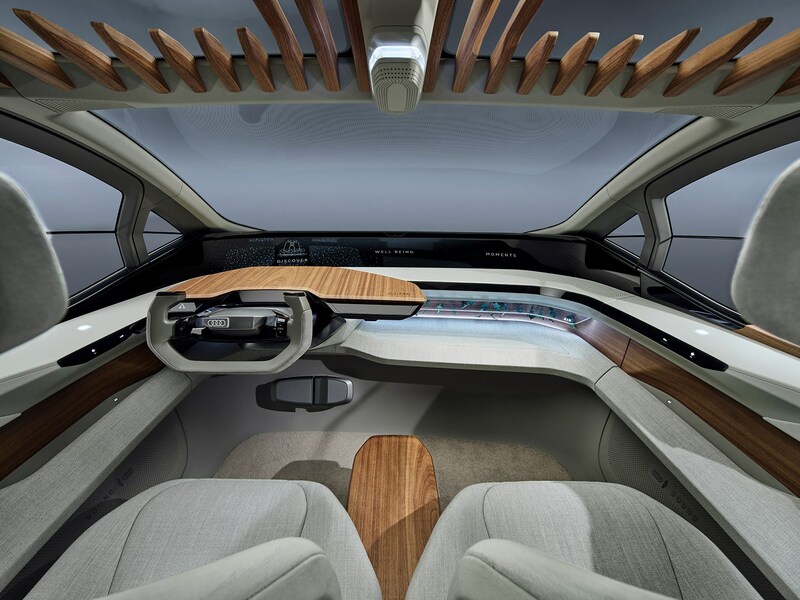 The AI:Me is just a vehicle for ideas for now, but as cars with greater autonomy look set to launch in he early 2020s, the notion of an adaptable upmarket living room on wheels with four rings on its nose could well become very appealing. 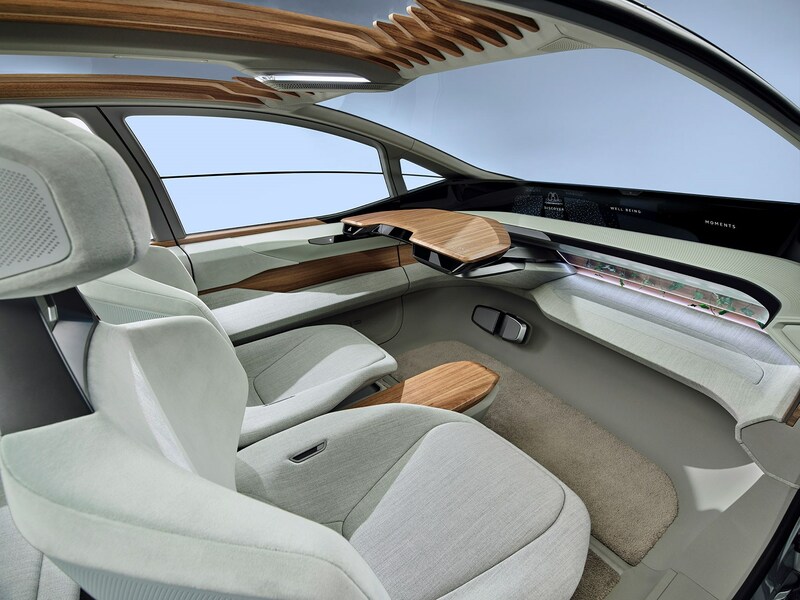 Sitting in the front and watching the walnut dashboard top become a writing desk – once the steering wheel tucks away beneath it – and the central armrest rise from the floor to do the same, this working concept is very convincing too. Best concept of the show? For us, probably.